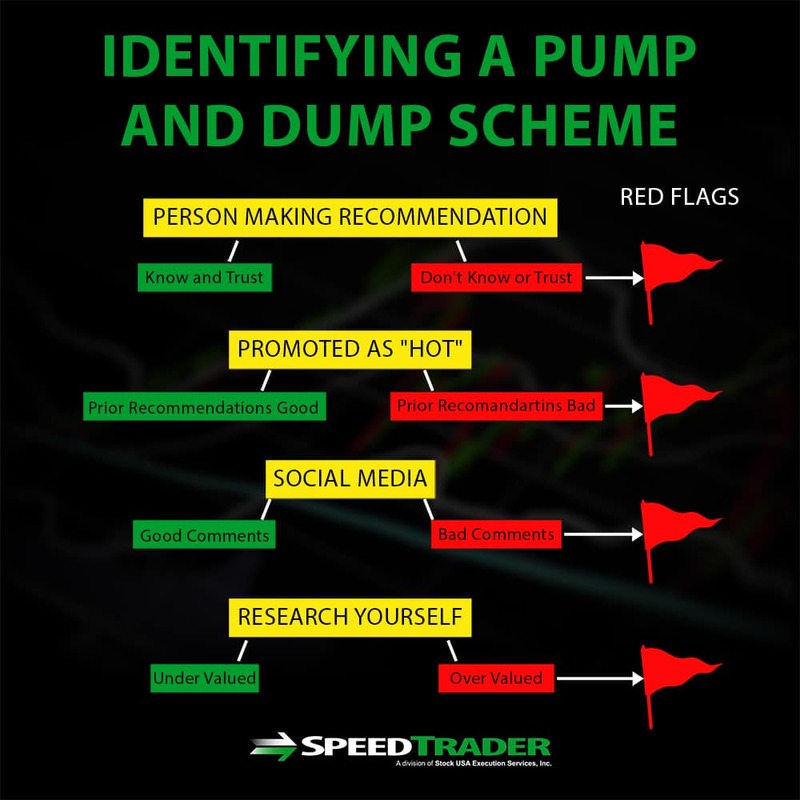 Pump and dump schemes are illegal, yet prevalent in today’s digital trading world where anyone can quickly and easily put money into “hot” investments. 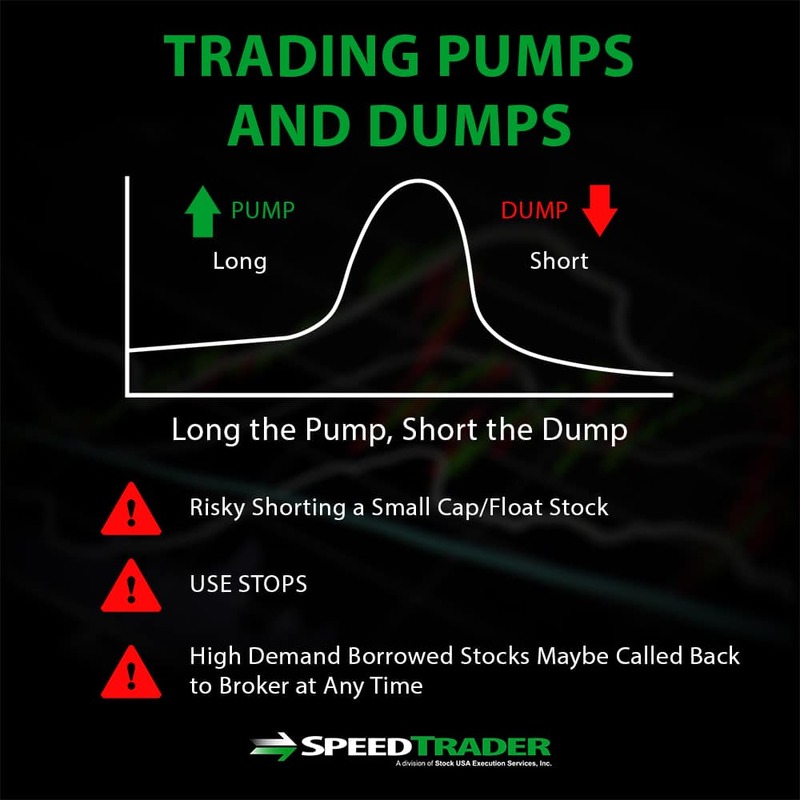 In this article, we’ll cover the basics of how a pump and dump scheme works, how to spot them, and how to profit when you see an illegal pump and dump happening. 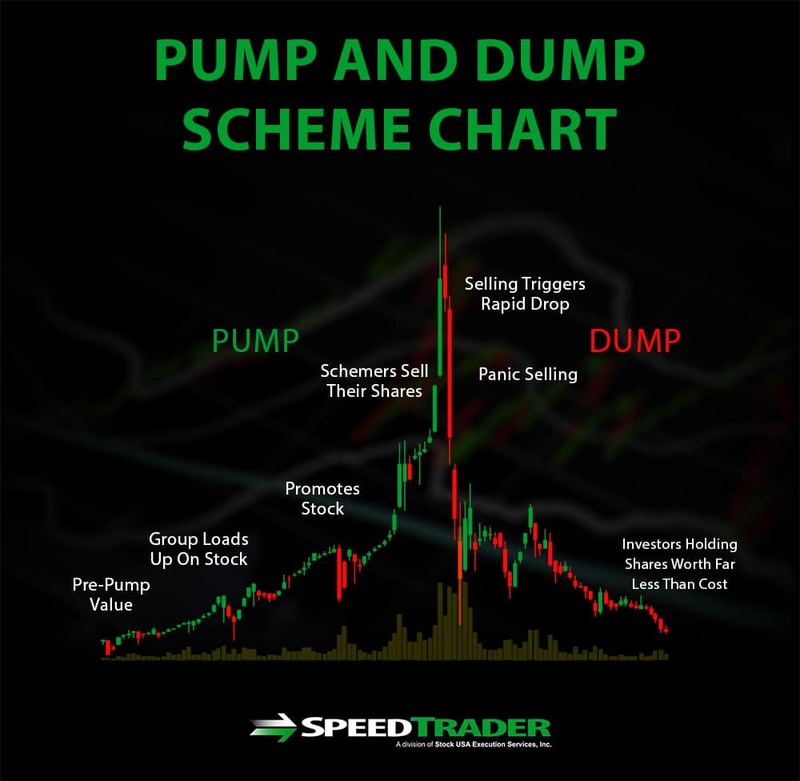 A pump and dump scheme occurs when a firm, a group of investors, or an investment influencer artificially inflates the price of a particular stock of which they already hold a large volume by convincing other investors to buy it. Once the price has risen, the person or group behind the scheme rapidly sells their shares at the new, higher price and triggers a sharp price drop that can leave other investors who were convinced by the scheme holding the stock at a much lower price than what they originally paid for it. How Does a Pump and Dump Scheme Work? A pump and dump scheme begins when an investor or group loads up on shares of a particular stock. Most often, schemers target penny stocks or micro-cap stocks since it is relatively easy to influence the price of these stocks with only a small capital infusion from outside investors. The schemers then promote the stock that they own to other investors with the message that the stock is “hot” and about to take off in price. Traditionally, this promotion was done in so-called boiler rooms by brokers over the phone or by physical mailers, but now commonly takes the form of spam emails. If this promotion is successful, outside investors will also buy the stock, causing its price to rise rapidly based solely on hype and demand rather than solid business fundamentals. Once the stock price rises, the schemers sell their shares for a profit, in the process triggering a rapid drop in the stock price. Panic selling among investors who were convinced to purchase the stock typically ensues, dropping the price even further. The result is that investors who were convinced to buy the stock at an inflated price are left holding shares that are worth far less than what they paid for them. The key to identifying a pump and dump scheme so that you don’t get wrapped up into it is to think carefully and research thoroughly any stock that is being promoted as “hot” by someone who you don’t necessarily know or trust. Whenever you encounter a promotion that looks enticing, go beyond just the promotion itself – see if the same group has promoted other stocks in the recent past, and how those predictions have turned out. It is also a smart move to check Twitter to see if others are talking about the promotion as a pump and dump scheme or to Google the company to see if they have a good reputation or have been implicated in schemes in the past. Another important step before trusting any promotion is to research the company in question yourself using the resources and technical indicators you would normally rely on before investing in a company. If the company’s business fundamentals show that it truly is undervalued, then you may be on to something. However, if the numbers indicate that the company is valued appropriately or even overvalued, then the promotion is likely false. The last thing to check is the volume chart for the stock in question. A hallmark of pump and dump schemes is that the trading volume for a stock will go from nearly zero to extremely high right at the start of the price rise. Although this can happen even when a pump and dump scheme is not underway, identifying this pattern adds more information for you to decide about the stock. Even if you think that a pump and dump scheme is happening, there is still opportunity for profit to be had in trading the stock. Just remember that, given the “dump” portion of the scheme, trading can be extremely risky since the stock price is likely to end at or below where it started. However, since the price should rise during the “pump” phase, there is potential to profit by buying high and selling higher as long as you sell ahead of the crash and do not allow yourself to be sucked into the hype as you see the price continue to rise. Another possibility is to short the stock since you expect the price to crash once the schemers dump it. However, be cautious when attempting to short since high demand for the stock may mean that your borrowed shares are called back in by your broker before the dump begins, in which case you would likely suffer a loss. Illegal pump and dump schemes can be extremely dangerous for investors who fail to recognize that they are happening and who are left holding the bag after a dump occurs. Although it is difficult to be certain that a scheme is underway, a little research into the person or group promoting a stock and the company behind the stock itself can go a long way towards protecting yourself against inflated hype. In addition, for those who can recognize a pump and dump scheme is likely occurring and who are willing to take a significant risk, there is excellent potential for profit.